Please sign in at google page creator with your ID. Take a look at your right monitor, and find Uploaded stuff. Click Browse.. button. Insert your file would upload. Wait the minutes, uploading in the process. If upload is done, right click at the file name and then choose copy shorcut for internet explorer or Copy Link Location for FireFox. Paste at the notepad or another text editor. Done... Now your file live on internet..! You have to admit, most free 3rd party Blogger Templates that you download are a mess. You open up the xml file and it’s a long and ugly-looking beast of code spaghetti. If you’re like me, you prefer a nice and neat template (even though you’ll be the only one seeing it) and you’ll want to tidy it up. Most of the code you don’t want to tinker with but the .css code (the part that styles your entire blog with images and colors) is where some people like to change font colors, sizes, or even just space it out properly so it’s important that it’s not only neatly organized, but also properly aligned. More importantly, did you know the more lines of code your template has, the longer it takes to load in a browser? So your 1,500 lines of code in your newest Blogger template could really be much shorter in size, thus speeding up page load times for your visitors. 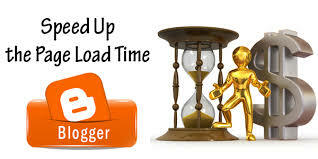 The slower your site, the more likely a visitor will be deterred and not wait for it to load up. So here’s a neat trick to optimize your template. You’ll want to do what’s called “commpress your css” into a much smaller format. There’s a site I use called CSSDrive that offers a free web-based CSS Compressor. All you do is select a few basic options like compression mode and comments handling and then paste in your css. The css is the code between the <b:skin> and </b:skin> tags. Make sure you backup your template code before doing this! Some people might not like how the css looks after it’s compressed so it’s best to have a backup. You also might make a mistake and copy the wrong sections which could screw up your template code. Bottom-line, backup your template before doing this. After you click on the “Compress-it!” button it will go through your .css code and shrinks it down. Essentially it removes unnecessary white spaces and better organizes each css element into one line. Here are the results for one of the Blogger templates I compressed. My xml Blogger template was originally size 47458 bytes and after the css compression was done, it dropped it down to 34276 bytes. Now that’s not a huge difference (28%) and you probably won’t notice a difference when you load up your blog with the new code, but every little bit helps. Also, some template code might be messier than others so the size decrease could potentially be a lot more. I also just ran the normal compression mode and wanted to keep my comments so if you go with the super compact mode and strip out all comments, you can compress it even further. Ingin menambah aksesoris blog supaya kelihatan lebih cantik? ehm, emang membuat blog kita tampil beda kelihatannya menarik. Nah, salah satunya adalah dengan mencoba mengalihkan feed blog kita ke feedburner. Pengen tahu lebih jauh? ayo kita ulas satu-persatu..
Congrats! 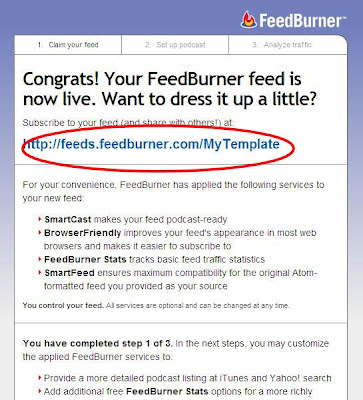 Your FeedBurner feed is now live. Silahkan simpan alamat feed anda terlebih dahulu, karena alamat ini yang akan kita pakai nanti. Next lagi sampai Testing FeedBurner, lalu Sign Out saja. 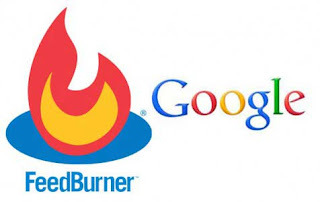 Sekarang saatnya kita modifikasi hasil FeedBurner tadi.. buka saja halaman dasbor blog Anda dan masuk ke Elemen Laman pada Tata Letak. Setelah selesai klik Simpan dan.... coba lihat hasilnya, ehm gimana? Oiya.. contohnya seperti Feeds dibawah ini..
Selain untuk menambah aksesoris blog, bagi teman-teman yang mempunyai Google Adsense dapat ditambahkan disini..(Adsense untuk Feed) sehingga pada tiap artikel feed secara otomatis akan muncul tuh iklan. Ever since Microsoft launched its Bing search engine, it has drawn a lot of interest (and speculation) from the SEO community. On one hand, this is quite logical because Bing is intended to be one more heavy-weight player and it is expected to cut some share from Google. On the other hand, this is hardly the first time a new heavy-weight player comes to the ring, so maybe the expectations that Bing will put an end to Google's monopoly are groundless. Still, Bing is quite different (in a positive way) from the other search engines and this is its major strength. Is Bing Really That Different? 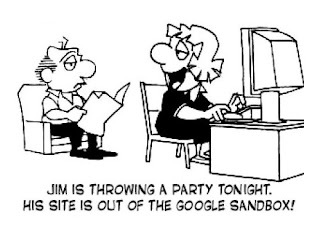 It is this relevance of search results that worries SEO experts. The results you get when you search with Bing are relevant, yet they are very different from Google's. Actually, no matter if you search with Google or with Bing, you get relevant results and the two sets are very different from one another. 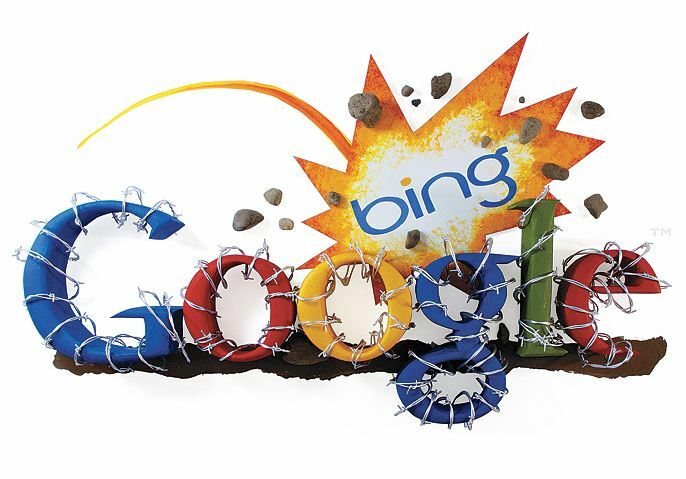 One of the most important things SEO experts are curious to know about Bing is its algorithm. Obviously, Bing's algorithm is different from Google's because when the search term is the same but the set of results is different, a difference in the algorithm is the obvious answer. Actually, the question is exactly what is different between the two algorithms and if the difference is so drastic that it makes it mandatory to reoptimize a site for Bing. Additionally, no matter how promising Bing looks, it is still early to predict if it will become a real competitor to Google or if it will become one more failed attempt to dethrone Google. Let's see how users react – will they start Binging more or will they stick to Google. When it becomes clear that Bing will be able to make it, then it will make sense to optimize for it as well. So for now the best you can do is wait. Backlinks are of less importance. 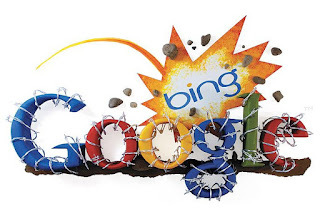 If you compare the first 10 results in Bing and Google, it is noticeable that all equal, the winners in Bing have less backlinks than the winners in Google. It is unclear if nofollow matters with Bing. Inbound anchor text matters more. The quantity of quality inbound links might be of less importance for Bing but the anchor text certainly matters more. Actually, since anchor text is one of the measurements of the quality of inbound links, it isn't much different. 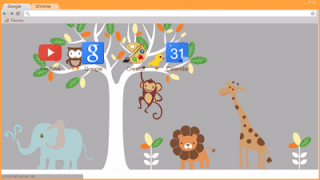 Get quality anchor text and you will do well in both Bing and Google. Link spamming won't do much for you on Bing. Since the quantity of backinks (even if they are of supreme quality) seems to be of less importance to Bing, link spamming will be even less effective than with Google. Onpage factors matter more than with Google. This is one of the most controversial points. Many SEO experts disagree but many also think that onpage factors matter more with Bing than with Google. Still, it has nothing to do with the 90s, when onpage factors were definitive. Bing pays more attention to the authority of the site. If this is true, this is bad news for bloggers and small sites because it means that search results are distorted in favor of older sites and/or sites of authoritative organizations. Age of domain is also very important with Bing – even more than with Google. PR matters less. When you perform a search for a competitive keyword and you see a couple of PR2 or even PR1 sites among the top 10 results, this might make you wonder. On Google this is hardly possible but on Bing it looks quite normal. Fresh content matters less. Bing looks a bit conservative – or maybe it just can't index sites that quickly – but it seems that fresh content is not so vital as with Google. This is related to the age of domain specifics and as a result you will see ancient pages rank high (but these ancient pages are relevant to the search query). Bing is more Flash-friendly. Optimizing a Flash site for Google is a bit of a SEO nightmare. It is too early to say but it looks like Bing is more Flash-friendly, which is good news to all sites where Flash is (still) heavily employed. For now it is too early to say which factors are of primary importance with Bing. But the fact that their search results are relevant means that their algorithm is really precise. Well, maybe the relevant results in Bing are due to the fact that web masters were taken by surprise and they haven't had the time to optimize for Bing. As a result, the content is authentic, there are no SEO gimmicks and artificial pumping. We'll see if this will stay so in the future, when web masters learn how to optimize for Bing as well! "Where and how do I start my SEO Campaign from?" A couple of points to note before we start - We are assuming that you already have the domain name because finding a good domain name would be a separate topic. Here are some of the most important steps that you can yourself take care of before going to any SEO company to manage your search engine marketing campaign. The first and most important step is to determine what are the most important keywords for which you want your website to appear on search engines? You know your business more than anyone else. You know your target audience. So find out 10 phrases which you think that your prospective customers will search for. After you have decided on your keywords, the next step is to set them up properly. The title of your web page is the very first thing that any search engine crawler will read and take as a factor to rank your website. Your homepage title should contain your targeted keyword. All the other pages of your website should have title related to the content of that respective page. For e.g., the title of the registration page should be “Registration”. Keep in mind that you are not promoting your “registration” page. The idea is to “set things right”. Though Google has said they do not read meta tags content we still advise to put your targeted keywords in meta name=”keywords”/ field and one line description of your website in meta name=”description”/ field in your header tags. Many other search engines will still read them and Google won’t give you negative marks for that. Your website’s homepage should have a unique content describing your business. This introductory text should have the phrases that are in the title of the page. Experts say that you should use your targeted keyword 2-3 times in every 200 words so as to not get caught up for keyword stuffing. If possible, put your local business address and phone number on home page & contact us page to get noticed on "local business results" on Google. Google loves a blog and so do the other search engines. Having a business blog pays – and this is something you should always remember. Whatever business you have, you must write 1-2 posts every week about your business. The articles can be about an industry news, a website update, a new recruit in your company – anything that relates in some way or the other to your business. We recommend using wordpress because they are easy to set up and the come up with various SEO Plugins that help in optimizing your blog for search engine rankings. Once your website is up, you would definitely want to monitor your traffic. Any analytics software will show you how many visitors come to your website daily, where are they coming from and which keywords do they use on search engines to get on to your website. These are the most important metrics. We suggest using Google Analytics! Of course you are just starting your campaign. You might not be in top 100 on Google but sooner or later if you do the right things at the right time, you will find yourself in top 10 for that elite group of your targeted keywords. We, at KPMRS, offer this service for free. You can register your website with your targeted keywords and we will monitor your rankings on daily basis. You can be rest assure to get notified by email as soon as your rank has changed for Google, Yahoo or Bing. This will even help you track the work done by whichever SEO company you have chosen for your campaign. Twitter, Facebook, Digg, Delicious are some of the buzz words today in social media industry. Setting up your business profile on these & similar websites are must for a starter. Maintaining & optimizing them is again a different topic of discussion about which we will soon post here. Well, we have finished our part. 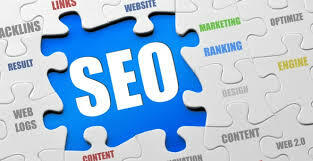 Time for you now to add more points which you think would be useful for a beginner in the SEO world.